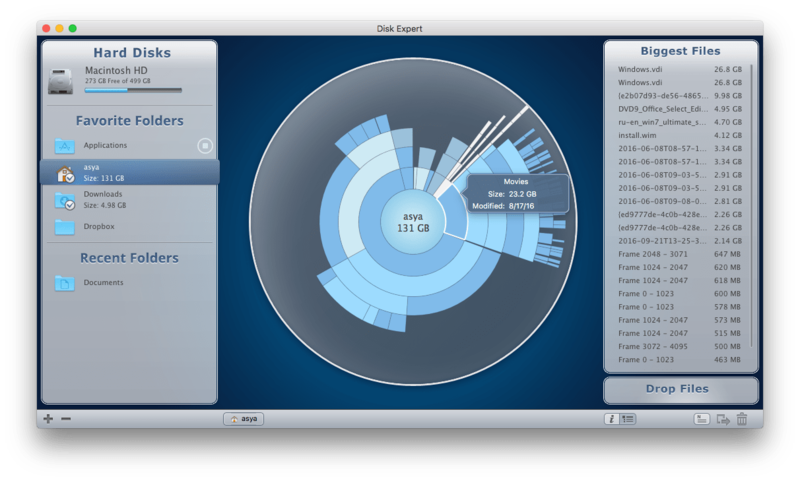 Whether you are striving to optimize the way you use disk space on your Mac, the Nektony Disk Expert is what you need. 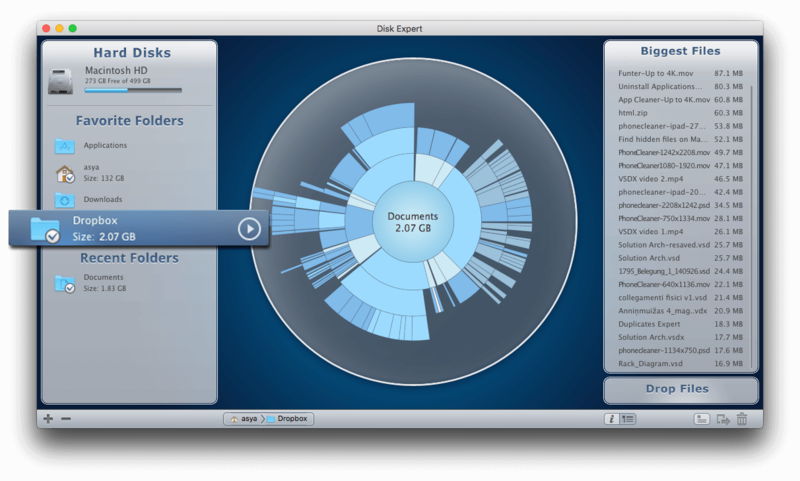 Using the Disk Expert app to look through your files and folders, you will get information on how much space they are eating. The scanning process takes about two minutes. 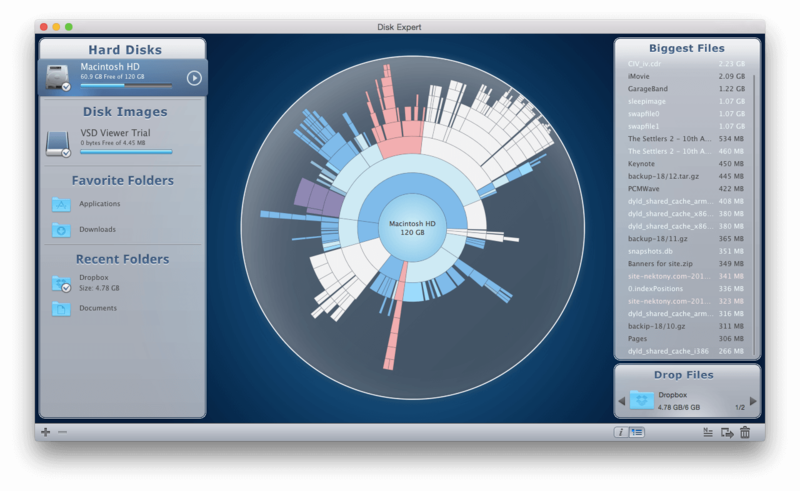 Animated navigation through folders helps to assess visually the disk space utilization. Thus you can get a sense of which documents you need or want to keep, which you no longer need at all, and which you need to keep but don’t open regularly. Disk Expert displays the latest date of file modifying. By moving the mouse cursor through the chart segments you will see the information about each folder. This will help you to quickly identify those folders that you rarely use. You do not need to hold general cleaning on your Mac every time you need to install any application or download your vacation photos if you keep your drive in a proper state. It is not necessary to perform a full disk scan. Disk Expert allows you to scan only the selected folders. You can see the folders you have checked latest time in the “Recently” folder.